Let There Be Lacquer: Winter Wonderland Snowflake Glitter Nails! 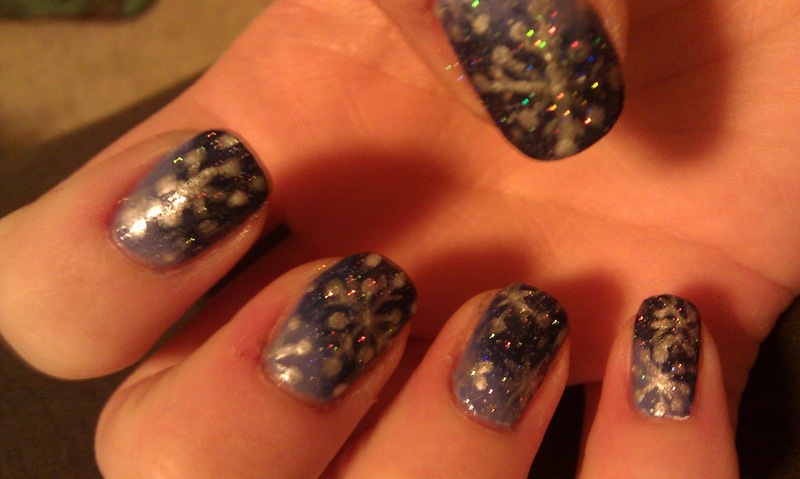 Winter Wonderland Snowflake Glitter Nails! Hey all! 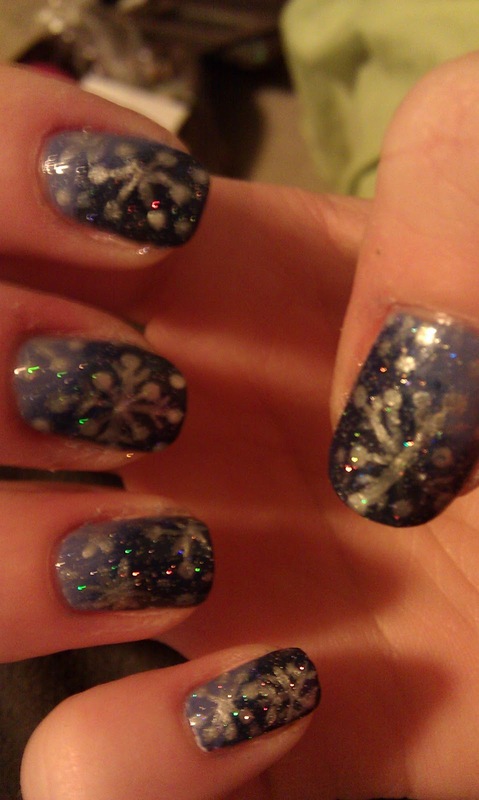 The snow though it didn't last long, got me in the mood for some winter nails! 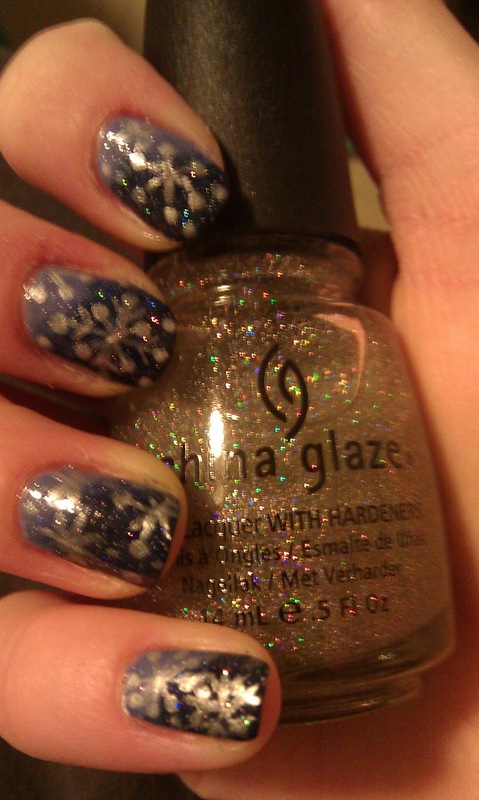 I used China Glaze First Mate, Fairy Dust and Secret Peri-wink-le. 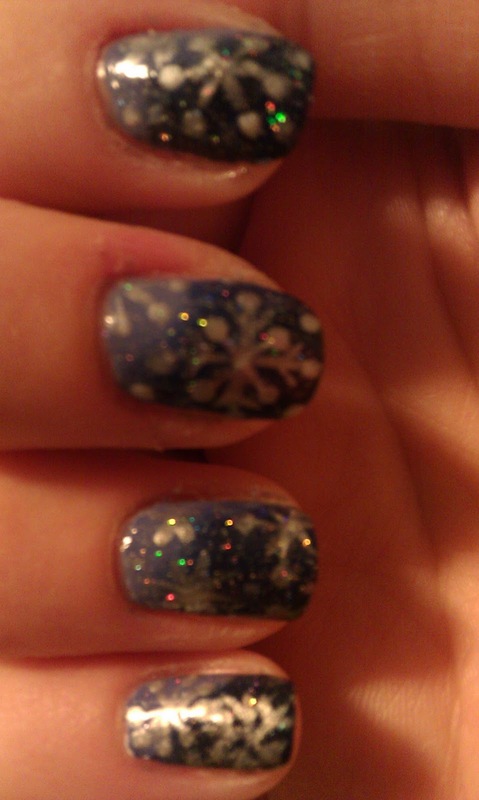 Pure Ice Platinum is the pearly white that makes up the snowflakes. 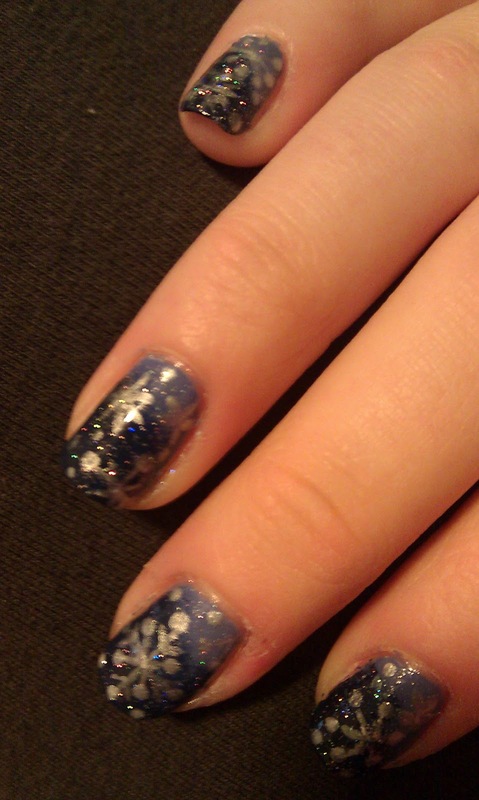 I hope you all like! 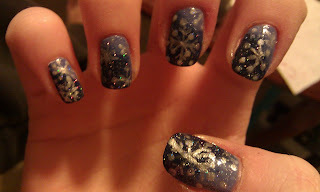 More winter inspired designs to come! I also ordered again so I'll be expecting some more goodies!